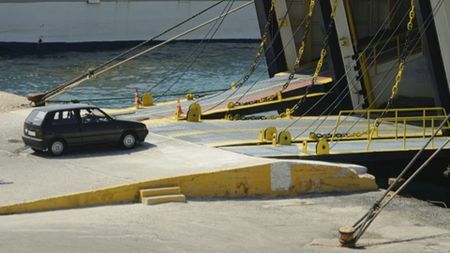 According to the AA, 3.6 million of us take our cars across (or, indeed, under) the English Channel each summer in what’s seen as an affordable and easy way to get abroad. But how much do we actually know about the different laws, regulations and penalties available to the continental authorities? We all know that different countries have different laws, but some of them are more obvious than others. Speed limits are the easiest ones to spot – in most countries they’re displayed in a similar manner to the British ones – just remember that they’re likely to be in kilometres per hour, not miles per hour. Also, in many European countries, it’s a legal requirement to carry certain things in the car. In France for example, it’s a requirement to carry at least two disposable breathalysers in the car (it’s also worth remembering that the drink-drive limit is lower than in the UK). These must be certified by the authorities. Also mandatory in France are warning triangles (to be placed behind the car in the event of a breakdown) a fire-extinguisher, reflective jackets – which must be easily accessible and therefore not in the boot – and replacement light bulbs for your car, as it is illegal to drive with any of your lights not working. Driving in Europe also carries dangers that we may not be used to in the UK. In many countries, the police have the right to fine you there and then – even taking you to a cashpoint – and collect the fines themselves, rather than going through the whole administrative process that we have in the UK. Also, in France, if you break the speed limit by more than 40kmh, then the police can confiscate your driving licence there and then, leaving you stranded. Germany’s network of Autobahns are (wrongly) renowned for being a high-speed free-for-all, with no speed limits. In fact, the majority of the motorway network in Germany are now limited. However, large sections are still de-restricted, with an advisory limit of 130kmh (81mph), but it’s very important to be certain that you’re on a de-restricted stretch, as speed limits are rigorously enforced and heavily punished. Another thing to watch out for is that other European countries all drive on the right-hand side of the road. In reality, it becomes fairly natural pretty quickly – just remember to look in the opposite direction at junctions and roundabouts. Another consequence of driving on the right is that UK-engineered cars are likely to have headlights that point in a direction that will dazzle oncoming traffic. Some modern cars will have a feature in a menu somewhere to fix this, but in most cases, it’s worth investing in deflector strips, which blank out the offending parts of the headlight. Driving on the continent, you’re almost certain to have to travel on vast swathes of the French motorway network, most of which are toll roads. Obviously, this isn’t something that we encounter much in the UK, except for a small section of the M6 or the occasional bridge. 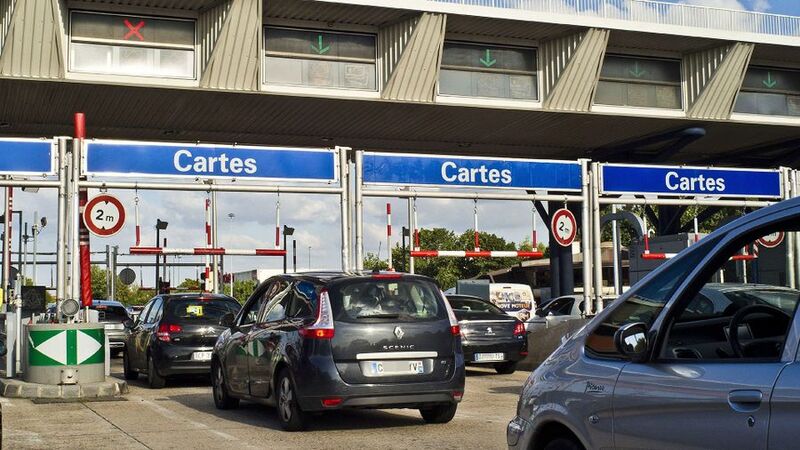 However, the French tolls (péages) are almost ubiquitous and will involve stopping to pay for your journey. You can do this in one of two ways. You can either carry around a fistful of change to throw at the booths, or you can fit an electronic tag, which communicates with sensors in the booths and debits your bank account every time you use it. This also allows you to use separate lanes which are often less busy and sometimes non-stop, lifting the barriers automatically as you drive through slowly. When on the continent, it’s also important that everyone who may be driving the car has all the requisite documents with them. This includes insurance details for each driver (make sure you’re covered for driving on the continent, and check how many days you’re covered for) as well. It’s important to remember both parts of your driving licences and your passports. 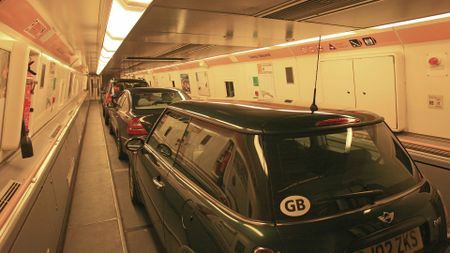 And, if you’re driving in the EU, you’ll need a GB sticker on the car, unless your car has an EU numberplate. If you’re going outside of the EU, however, it’s advisable to have the sticker on anyway. In reality, driving on the continent is pretty similar to driving in the UK – it just takes a little bit more planning, research and organisation. Make sure you know the rules of the road in the countries you’re going to and, above all, don’t give the local law-enforcement any excuse to book you – it can be much more expensive and much more sudden if you get caught doing something wrong in Europe. Lastly, and most importantly, don’t forget to drive on the other side of the road!